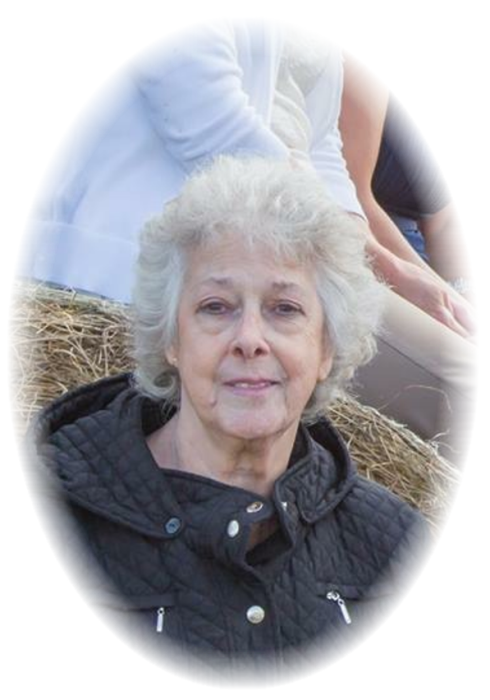 Margaret Katherine (Sluss) Counts, 75, longtime resident of Livingston, Montana, passed away Thursday, January 31st, 2019 at the Billings Clinic Hospital. A funeral service will be held 1:00 P.M. on Wednesday, February 6th, 2019 at the Franzen-Davis Chapel, 118 North 3rd Street, Livingston, followed by a graveside service at Mountain View Cemetery and a reception will then be at The Shane Center Ballroom, 415 E Lewis St, Livingston. Margaret was born on December 27, 1943, the fifth of ten children, to Clyde and Gracie Sluss in Dickenson County, Virginia. Margaret was raised in Dickenson County, with all those siblings she got tough really fast. At age 19 Margaret was united in marriage to Franklin D. Rose on March 10, 1962. They were blessed with five daughters. They began their family in McClure, Virginia in the Smith Ridge area. Franklin was a coal miner, he was tragically killed in a mining accident on April 30, 1969. Margaret again, got really tough, she cared and provided for her daughters, but God must have had a plan in mind because she would soon meet a gentleman from Montana. Henry Counts was visiting relatives in Virginia and was introduced to a lovely lady with five lovely daughters. They clicked. After meeting in July of 1970, and a short, long-distance courtship, Margaret and the girls traveled to Livingston to see what they thought of it here. They never left; and Margaret and Henry Jackson Counts were united in marriage on September 26, 1970. They have made Livingston home ever since. Here Margaret tended to her children and her home as Henry worked for the railroad. The family enjoyed many trips back to Virginia every year to visit family. Margaret and Henry would always take a different route, to see as much of the United States as they could. Thinking back, Margaret’s favorite hobbies included gardening, cooking, camping, square dancing and crocheting, and as we all agree, it was keeping her home just so. She kept her home not clean, but immaculate. The only thing she enjoyed more than her hobbies was her children, her grandchildren, as well as, their friends whom she mothered like her own. She was a mother to many. Margaret had the gift of love in her heart and there was nothing more meaningful than sharing that love with others. We have lost a kind, gentle, beautiful soul. Though you are gone from us for now we are comforted knowing you are no longer in pain, and with your heavenly father. You are in our hearts Margaret, we love you so much. Margaret is survived by her husband of 48 years, Henry Counts; her daughter, Regina Rose and her partner Ed Mitchell, and her son, Cory Rose and his children, Bryton and Alyson; daughter, Rita (Craig) Hahn and their children: daughter, Jenna (Bridger) Rosendahl their children, Emma and Olivia; son, Tanner Hahn; daughter, Vickie Dahms and her children: daughter, Candice (Lisa Hookano) Dahms and their children, James, Allie and Alyvea; daughter, Jacilyn (Casey Pierce) Dahms; son, Michael Dahms and his children, Destiny and Brenden; daughter, Patricia (Justin) Fievet and their children: Dawson Ramey (who passed in 2012) and Drew Ramey and his fiancée Brooke and their son, Dawson; daughter, Kimberley (Arthur) Holmes and their children: son, Jordan (Sally Stanke) Holmes, daughter, Makenzie (Luke) Jesson and their children, Georgina, Valerie and Wailyn. Henry’s children from his first marriage survive Margaret, Jack (Pam), daughters, Debbie and Linda (David), and their children; as well as her siblings, Marie, Eula, Peggy and Clyde Jr.
She was preceded in death by her husband, Franklin; parents, Clyde and Gracie Sluss and grandson, Dawson Dee Ramey and siblings, Ruby, George, Emmitt, Patsy, and Sharon. Memorial donations are preferred to the American Heart Association, 7272 Greenville Ave.; Dallas, TX 75231, or visit their website.